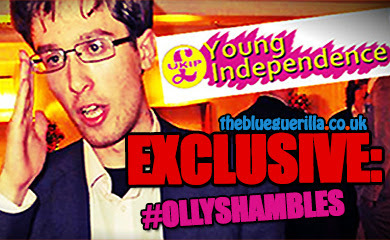 TheBlueGuerilla: EXCLUSIVE: More UKIP Candidates Under Pressure to Stand Down. EXCLUSIVE: More UKIP Candidates Under Pressure to Stand Down. AFTER Tim Wilson, who was due to stand for UKIP in South Northamptonshire against the sitting Conservative Andrea Leadsom, pulled out and replaced by Eric Macanndrais, TBG can reveal two more candidates that are also under pressure today. Mr Wilson decided not to stand in South Northamptonshire after UKIP's only MEP in Scotland, David Coburn, compared the Member of the Scottish Parliament for Glasgow, Humza Yousaf, to convicted terrorist Abu Hamza. UKIP leader Nigel Farage said Mr Coburn's remarks were a "joke in poor taste" but he would not be taking any action against him. TBG now understands that another candidate under severe pressure is Barrister Stephen Howd who was due to stand in Scunthorpe and was suspended by the party after a complaint of harassment was made against him at work, only to have his suspension lifted a couple of days ago. 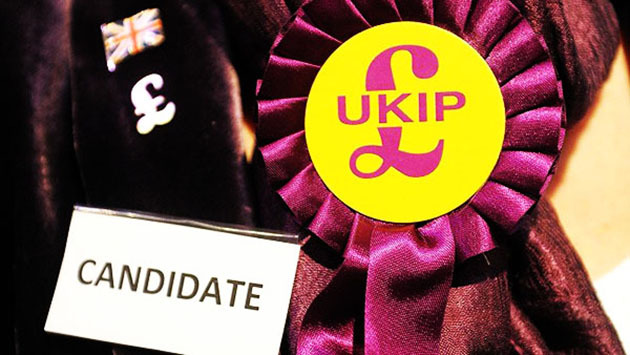 The second candidate under pressure is Portsmouth South Candidate Steve Harris as regards two new allegations TBG has exclusively received from the time when he was a UKIP Regional Organiser. 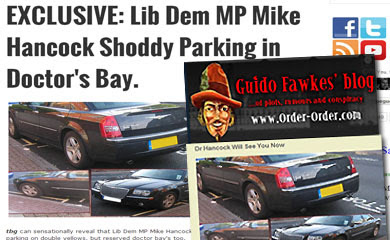 The first which TBG is still investigating, concerns his alleged involvement in running an office given to UKIP by supporters John and Julia Longhurst called ‘The Old Grain Store’ rent-free 15 years ago. The second allegation surrounds actions Harris allegedly took against former Crawley UKIP Chairman John MacCanna who was removed from the position he had held for more than four years over "Unsubstantiated Racism Claims" allegedly posted on the UKIP Crawley Facebook page. Only to be replaced by a man who, it turns out, had closed three businesses with nearly £42,000 of unpaid County Court Judgements. 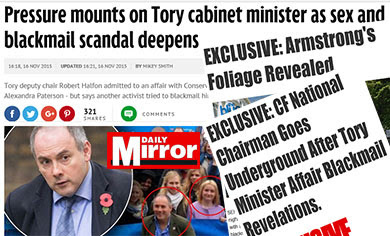 Tory Turncoat Robin Hunter-Clarke on Tour. Labour MP Under Pressure to Resign as Candidate. Pressure Mounts on Prima Donna. Chancellor Osborne's Gone From Zero to Hero. Tory Candidate Brands UKIP Voters as Racist. 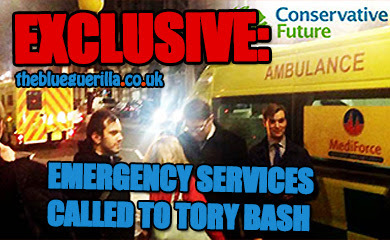 Cameron Running Scared of TV Debates.